Show off your Super Bowl LIII Champions team pride in a big way! 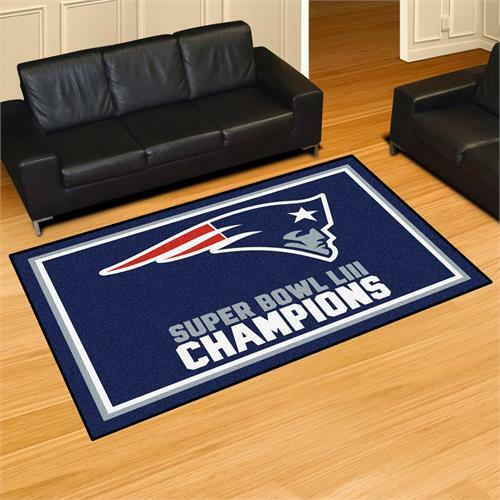 This New England Patriots Super Bowl LIII 5'x8' Ultra Plush Area Rug won't leave any doubt about who you were rooting for on Super Bowl LIII Game Day! Non-skid backing keeps rug in place. Made of 32 ounce nylon carpet, which feels great on your feet. Chromojet printed in vibrant true team colors. Cleaning is a breeze, just vacuum regularly. Great for game rooms and man caves!